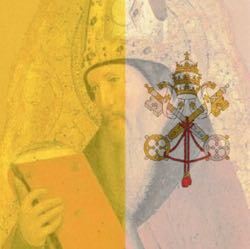 "The Roman Pontiff can, and ought to, reconcile himself, and come to terms with progress, liberalism and modern civilization." One of the popular themes of the media in reporting the Pope's retirement is the proclaiming the death of the Church if it doesn't "get with the times." What they generally mean by this is that they believe that the Church needs to change her teachings on sexual morality, and whatever will make that change is to be promoted. Hence it is believed that if the Church ordained women, it might have a more "modern" view of abortion and contraception. The problem however is the assumption that the Catholic Church is a merely human institution which picks and chooses what morality should be. From that perspective, the Church seems irrational for clinging to her teachings. The question is asked, "Why doesn't the Church just change the rules?" Because this view does not know (or rejects) what Catholicism is, there appears to be no real reason except for a reluctance to change and intolerance. But the fact is, the Catholic Church considers herself to be bound to follow the commandments of Christ, and she does not have the authority to change His commandments. Yes she can change disciplines, such as whether or not to ordain married men or whether or not to abstain from meat on Fridays. However, she believes she has absolutely no authority to change the teachings of faith and morality. Things that corrupt what God calls us to do must be denounced. Things that Christ established must be followed. People who want the Church to "modernize" have a fundamental misunderstanding on what the Church believes she can do in the first place. People may say that the Church must "get up to date or die." But the issues of sexual morality the Church the Church took a stand on were issues in ancient times as well as today. The sexual immorality of the elites was just as prevalent in the first century as the twenty first century. People committed fornication and adultery, they attempted to contracept and abort. You shall not commit murder, you shall not commit adultery, you shall not commit pederasty, you shall not commit fornication… you shall not practice magic, you shall not practice witchcraft, you shall not murder a child by abortion nor kill that which is born. Witchcraft, in this case, is referring to the ancient attempts at contraception. The point is, that which is true is always true whether a society recognizes it or not. If owning people as slaves is wrong, then it was always wrong regardless of what a society may think of it. Likewise with sexual morality and any other issue of morality. The Church cannot change the sixth and ninth commandments any more than she can change the fifth commandment (Thou shalt not kill). People are always free to leave the Catholic Church if they (wrongly) refuse to accept the claim that she is the Church founded and protected by Christ. But people cannot expect that the Catholic Church to change what she believes she is obligated to do.